A Glacial Erratic rests on the wave cut platform at Pargodonnel Rocks , below Tregear Point - (between Parc Trammel Cove and Portleven Harbour). 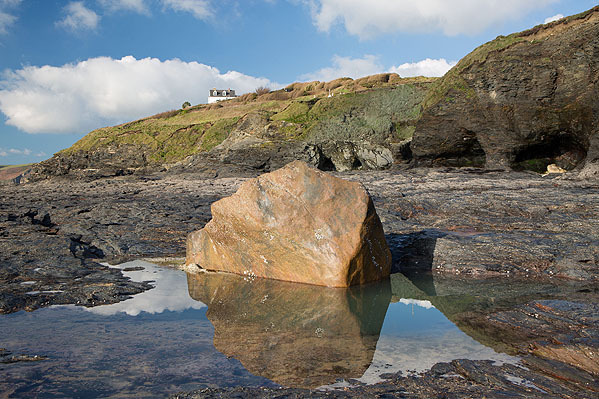 The Giant's Rock / Moonstone is of a type of garnetiferous gneiss which is not found anywhere else in the UK . It may have been tranported here by Glacial action during the last Ice Age.